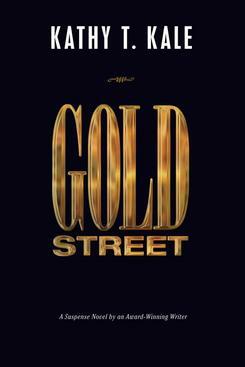 Gold Street is a suspense novel with a theme about the U.S. economy. about it. I decided to learn. I began with "The Creature From Jekyll Island." or what caused inflation or a depression. I was astounded by my ignorance. affects my well-being that I knew nothing about. worked, they would immediately revolt. We are currently in an economic abyss and did not arrive here by accident, but through a flawed, unfair and unjust economic policy that is impoverishing the majority of citizens and miring this country in unending and unnecessary debt. Information on how our economy functions is suppressed. It is not discussed on the mainstream news or by elected officials, and not taught in universities. Still, the information is out there. A few good books have been written about the subject, and the web is filled with the railings of the furious informed. One problem with economic theory is that the subject is so boring and technical it’s not fun or easy to read. I can’t get past a sentence of a Federal Reserve report before I’m yawning and confused. I wrote this novel to present the main elements of our economic policy in a manner intended to be both entertaining and easy to understand. The facts of this policy are quite simple. My hope is that one way or another you will learn what Henry Ford didn’t want you to know and do something about it. Who would have thought that a suspense novel about the Federal Reserve would be so intriguing! I thoroughly enjoyed reading this book and couldn't put it down until I finished it. It was especially nice that the author used a mother who may have been weak in the past but one who used her instincts and became a strong woman by the end. Although I am in the financial industry, it was very informative about the Federal Reserve and its role in our economy. I especially liked the quotes at the start of each chapter that show that the government turning over the Federal Reserve to private bankers has been questioned since the beginning. The book makes me want to learn more about the Federal Reserve and I can't wait for the next book! Kathy Kale's book is a griping page-turner right from the first sentence! I was impressed with the dialogue, the drama and the depth of her analysis. The author has a Ph.D. in toxicology?? She must have a second degree in finance: her analysis and description of our current economic situation here in America is spot on. A clear and concise critique of the American financial system. And all wrapped up in a believable story, too! Great read! Kale wrote a good novel. Politically accurate with information about our federal reserve that all Americans should know!!! I think this would make a good movie and hope someone in that field picks it up- fast page turning story from beginning to end. We all need to be more conscious in America with the $$$ trail- so let's wake up America! `Gold Street' is a novel that every American should read. It is a griping mystery story about a young man from a prominent political family. Readers truly believe that he is in grave danger, but the authorities seem most reluctant to take the threats seriously. Instead, they suspect that the authorities are the real threat to his safety. At the same time as the story unfolds, the book attempts to explain the cause of recent economic and financial ills in the States. As well, it proposes a simple (but difficult to implement) solution. This novel is recommended both for the story and the detailed financial analysis that this novel explains in an easy-to-understand manner. When readers understand the cause of the present day economic crisis, a revolution of sorts may ensue. A true bonus of this novel, is the wonderful quotes that writer Kate Kale has incorporated into each page-turner chapter....truly an enjoyable read. I thought "Gold Street" was a great read. The characters and plot are believable and well done. I especially enjoyed learning so much about the Federal Reserve and the ridiculous system our government has for the economy. Why should we pay interest on our own money? Why is this being allowed to continue? Kathy Kale's first novel is a real page turner. Her detailed, yet easily understood description of the Federal Reserve's central role in driving the US economy to the benefit of corporate America is spot on. The characters are interesting, well defined and their actions believable. I had to know what would happen next and finished it in one sitting - my only disappointment came at the end when I had no more to read! The life of a senator's son is threatened when he tries to expose the machinations of the Federal Reserve.